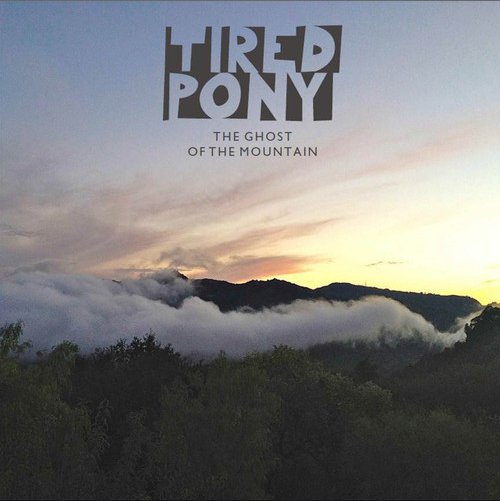 Supergroup Tired Pony, consisting of members of Snow Patrol, REM, and Belle and Sebastian, will release an allegedly somewhat dark and macabre—yet strangely anthemic—record on October 1. The collaborative efforts of Gary Lightbody (Snow Patrol), Peter Buck (REM), Richard Colburn (Belle and Sebastian), Scott McCaughey, Troy Stewart, and renowned producer Garrett “Jacknife” Lee, began in 2010 with their first critically acclaimed release, The Place We Ran From. Three years on, they have a new album ready for release through Lightbody’s own label, Heaneyville, this fall. It will be hauntingly titled The Ghost of the Mountain. The band came into being when Lightbody expressed a long-standing desire to work on an Americana album. After spending nine consecutive days recording in Lee’s Topanga Canyon studio, he realized that the album surpassed his wildest ambitions and had begun to show elements of many different textures and styles. The canyon setting allowed a certain ambling, crooning folkiness to be absorbed into the music, but all of the band members’ various influences, including modern genres such as synth-pop, found their way into the record. “All Things All At Once” can be streamed below. Along with a dazzling array of influences, the album also follows somewhat of a linear concept, carefully planned in order to craft a realistic story. A narrative of two outlaws is woven intricately into the lyrics of each track.